Newcastle United are keeping tabs on Chelsea youngster Kasey Palmer – but it is two of his more senior team-mates that Rafa Benitez wants to add to his squad. The Magpies are one of many clubs keen on a move for Palmer, with Chelsea thought to be looking to loan the youngster out this season. Ruben Loftus-Cheek starred for England. Comfortable playing as a No 10 or in a deeper midfield role, the Blues man has impressed during two recent loan spells. Benitez has been tracking Palmer’s progress after loan spells at Huddersfield Town and Derby County. But the Magpies manager would ideally like to secure the services of Chelsea duo Kenedy and Ruben Loftus-Cheek this summer. Newcastle are keen to bring winger Kenedy back to St James’s Park after he excelled in a loan spell in the second half of the season. The Brazilian provided a spark on the left flank, scoring important goals and adding assists to the team as Newcastle moved away from the drop zone and finished the campaign in 10th spot in the Premier League. Benitez is keen to work with the 22-year-old again, but with Chelsea putting a £20million price tag on his head, it may be that a loan is the better option given the budget restrictions at St James’s Park. Loftus-Cheek is also on Benitez’s wishlist, either as a loan or permanent signing. 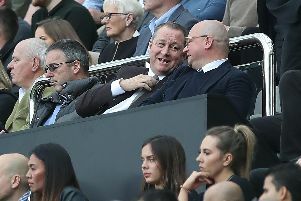 The Toon boss wanted to bring in the midfielder during Newcastle’s promotion season from the Championship, only to be thwarted by Mike Ashley. Loftus-Cheek has since gone on to establish himself as an England international, impressing during a season-long loan at Crystal Palace. Chelsea are yet to decide whether they want to keep hold of the midfielder, who came on as a late substitute in England’s 2-1 World Cup win over Tunisia on Monday night, but should they decide to cash in on the player there will be plenty of suitors. Under Premier League rules, sides can only loan one player from a rival top-flight club so Benitez would be unable to get both stars on temporary deals. The Spaniard, a former manager at Chelsea, still has excellent contacts at Stamford Bridge and is aware of their upcoming crop of youngsters. Palmer, 21, spent the start of last season on loan at Huddersfield Town before then agreeing a temporary switch to Derby in January. And he excelled at Pride Park, netting twice in 14 appearances while putting in a number of standout performances as the Rams progressed to the Championship play-offs. Sheffield United and Norwich City are also thought to be monitoring Palmer, who has made six appearances for England under-21s. Benitez knows the majority of his transfer budget will have to be spent on a striker, meaning he must also look at the loan market this summer.